On Aug. 11th, the 9th session of the Chinese Automobile Marketing Head Storm Summit, jointly initiated by China Marketing Association, Sohu Automobile and CCTV Advertising Operation Management Center etc, concludes in Chang Baishan, China. 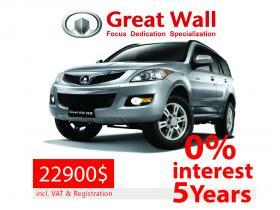 Ms. Wang Fengying, President of Great Wall Motors took presence and delivered a speech. Meantime, the over 1-month long award appraisal of China Automobile Marketing Innovation Award concluded successfully with Great Wall Motors winning the “Independent Brand Marketing Innovation Award” and President Wang Fengying winning the “Marketing Achievement Award”. At the Summit, Ms. Wang Fengying, President of Great Wall Motors, delivered the keynote speech. She expressed that under the circumstance that independent brands are limited in the terms of strength and resources, we shall put the limited eggs into one basket and not be tempted by too many things, During the experience sharing of Great Wall Motors in achieving the outstanding performance, ,President Wang expressed that Great Wall Motors has made huge investment in product R & D, and kept challenging new technologies and high performance in the pursuit of high quality rather than chasing sales volume blindly, which keeps Great Wall Motors a considerably high growth and profit rate against the tough environment of the independent brands; “When other brands are competing price for maintaining sales volume, Great Wall Motors manage to retain the sales volume without price cutdown.” said Ms. Wang. As the important section of this Summit, the awarding ceremony for 2012 China Automobile Marketing Innovation Award was staged on schedule. 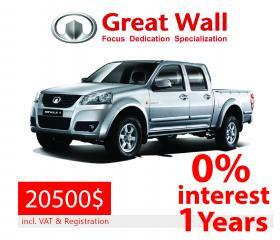 Great Wall Motors became the only one winning the “Independent Brand Marketing Innovation Award”. China Automobile Marketing Innovation Awards started in the year of 2006, and it is the 7th session in 2012. The award appraisal lasts more than 1 month, and was conducted mainly by network selection and votes of the organization committee collectively. Furthermore, Ms. Wang Fengying, President of Great Wall Motors, won the “Marketing Achievement Award” for the reason that as the sole “female general” among Chinese car manufacturers, Great Wall Motors — the enterprise under her leadership, has successfully surfaced in the vision of car industry as a “dark horse” in the past few years. 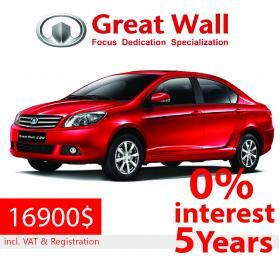 Under the adverse circumstance of slowdown in overall market and shrink of independent brand market in recent years, Great Wall Motors has turned out to be the most promising independent brand with the healthiest operation status. More than 60 senior marketing management of car manufacturers, nearly 30 ministers and directors as well as industry experts attended this Summit, and reached the consensus that under the context of economic transformation in the coming years, the negative factors for car industry maybe continue, but car manufacturers need to strive forward. Under the actual situation of slowdown in overall market, car manufacturers shall abandon the malignant competition means such as price competition, and the future of China’s car market still deserves expectation.